FDR was not the only president to manipulate the press about his health. Here is an anecdote from an extremely reliable source, a high-ranking naval physician, now retired. 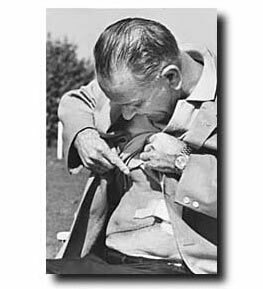 After his September 1965 gall bladder surgery, Lyndon Baines Johnson is infamous for showing "spontaneously" showing his scar to the press. For this act, history remembers him as a hayseed with a lack of social graces. The truth is quite different! It has never been published. LBJ was with his close confidante, Jack Valenti, at Bethesda Naval Hospital after the surgery that had been performed at Bethesda by Dr. George A. Hallenbeck, chief of surgery at the Mayo Clinic. The president asked Valenti about the publicity surrounding the operation and was told that there was a problem. A rumor was circulating among the press that LBJ was operated on not for his gall bladder but for cancer. Johnson immediately called Dr. Hallenbeck and asked him if the incision he made would be recognized as one for a gall bladder resection. Hallenbeck replied to the affirmative. 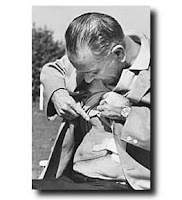 LBJ then inquired what type of incision would be made for exploratory cancer surgery. The surgeon informed him that in this case it would extend in the midline from from just below the the breast bone to the pubic area. Johnson immediately called a press conference that was conducted on the hospital heliport. The photo above was taken at this time. After the conference, Johnson returned to his room and exclaimed to Valenti "That's one rumor taken care of!". History corrected, hopefully a lot easier than with LBJ's predecessor. It is now nearly fifteen months since the publication of our book. 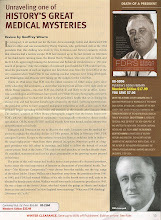 While some inroads have been made, and will continue to be made, in getting to the reality of FDR's life, the 1970 fairy tale of Howard Bruenn and the concurrent and most influential Roosevelt biography ever written, by James MacGregor Burns, who collaborated with and was taken in by Bruenn hook, line and sinker, continue to permeate the historical mainstream. Until the Bruenn mythology is thoroughly exposed and expunged, it is simply not possible to accurately assess the life, accomplishments and thought processes of the most important president of the twentieth century. Admittedly, there is no direct proof or "smoking gun", since the powerful ghost of FDR continues to loom largely, but half a decade of intense research continues to reinforce the correctness of our assertions. To be considered a counterfactual historian is an incredibly difficult position to overcome, especially considering the power and importance of personality that it involves. 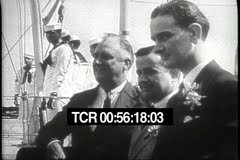 Ross McIntire and Howard Bruenn were nothing more than the voice, both living and posthumous, of FDR himself, as is now most probably the unified silence of the Roosevelt grandchildren. It is likely that from prior to his second term and surely prior to his third, that Franklin Roosevelt knew he was doomed to die of recurrent metastatic melanoma. From that time on, the knowledge of his mortality permeated his thought processes. Two hours of each and every day from 1939 on were spent with Dr McIntire (this is well documented in the usher's diary), either receiving medical treatment or masking the melanotic lesion above his left eye. Many of the "vacations" on naval ships were subterfuge for medical treatment. Many of the frequent episodes of "influenza" were not that at all, but rather were the effects of his two cancers and a likely stroke sustained in late 1943, from which he largely recovered but left him with disabling seizures (In this regard I want to thank Dr Joseph Sirven, head of epilepsy at Mayo Clinic, Phoenix, who recently provided key insight in the etiology and dating of FDR's seizures). As I anxiously anticipate my visit to the Lahey Clinic Boston on April 9th and against great odds await the April 18th announcement of the 2011 Pulitzer prize for biography, I remain confident that eventually the truth will come to light. As I suspected, James Roosevelt will not be in attendance at the Lahey event in Boston. I can understand why and have no desire of putting him an uncomfortable position. If I knew (or even suspected) that my grandfather had a wish that he did not want violated, I would act similarly. Last Friday I had the privilege of speaking at the Mayo Clinic, Phoenix. My talk on FDR's epilepsy was well received and my sincere thanks to Dr. Joseph Sirven, Chairman of the Departmant of Neurology and director of the epilepsy division for his wonderful hospitality and enthusiasm. just click below my picture on the website (may take a few seconds to load). Thanks here to Bob Rowen. Looking forward with great anticipation to sharing the podium with Harry Goldsmith at the Lahey Clinic in Boston on April 9th. Happy spring to all. Woke up to a snowstorm this morning! I will be lecturing at Mayo on the same topic on Friday March 19th at 7 AM.